I took this picture while driving along the Oak Island beach with my Father and Michele. 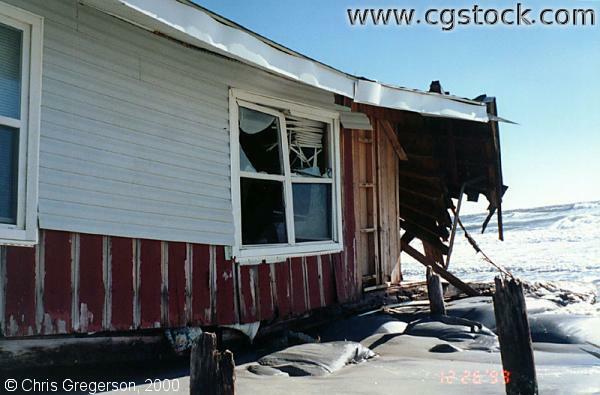 Hurricane Floyde came ashore here, by the mouth of the Cape Fear River. This is one of the homes on the island that were damaged by the storm.